The 3rd ECCOMAS Young Investigators Conference YIC2015 will take place from July 20th through 23rd, 2015 at RWTH Aachen University in Aachen, Germany. It primarily aims to bring together young researchers and students working in the broad areas of computational science and engineering. As in the previous conferences organized under the auspices of the European Community on Computational Methods in Applied Sciences (ECCOMAS), the focus is on the application of mathematical and computational methods and modeling to different areas of simulation in engineering. This year, it will be held in conjunction with the GACM (German Association for Computational Mechanics) colloquium. Although the target group of the YIC GACM 2015 are young researchers (under 35 years of age), senior scientists are welcome as well. The presence of senior scientists and thesis supervisors can be very fruitful for all participants, including young researchers and PhD students. For more information, our flyer is available for download here: YIC_GACM_2015. In case you have any questions, please contact us under yic@cats.rwth-aachen.de. This year, the YIC GACM will be held in direct sequence with the Aachen Conference on Computational Engineering Science (AC.CES), a conference organized and hosted by the Aachen Institute for Advanced Study in Computational Engineering Science, RWTH Aachen. 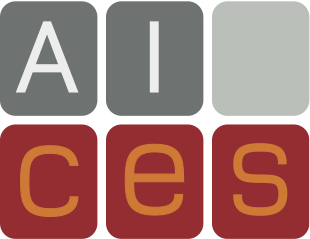 AC.CES will bring together leading experts in theory, method development, and applications in computational engineering. The main objectives of the conference are to present cutting-edge research and to foster the growth of a stronger CES community, as well as to facilitate collaborations and cross-fertilization of ideas across the different CES disciplines. The conference will be organized as a series of plenary sessions with invited talks as well as supplementary poster sessions contributed by regular participants.